Commercial Landscaper Mclean, VA | McLean Landscapes, Inc.
A beautiful compound does not come by chance. 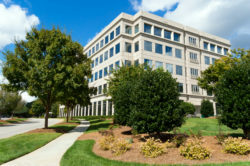 It is an investment that you have to make by hiring a professional Commercial Landscaper In Mclean VA. The challenge, however, is to know how much you will invest. Here is a guide to getting the best rates for landscaping without compromising on the quality of work you get. The size of your yard will determine how much you pay for landscaping. Large compounds like hotels, golf courses, and institutions require more work to keep them in top shape. The plants to be planted on large spaces are more compared to a confined compound. Whether you compound is large or small, we will provide a customized package that will guarantee excellent value for money. What do you want to be done on your compound? The features installed on your compound affect the cost. Natural features like grass and trees might not be too expensive. 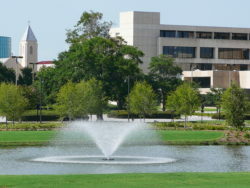 However, if you wish to install artificial elements like fountains and paved walkways, you will have to pay more. The terrain of your compound is also a determinant of price. There are landscapes that are naturally beautiful. Some have natural drainage or are as flat as the owner would desire. The terrain determines the level of modification that needs to be done. Where a lot of modification is required, your budget will be higher. If modifications are minimal, your charges will be lower. Are you signing a long-term contract or do you need a landscaper for a single project? Signing a long-term contract and one that is comprehensive gives you higher bargaining power. However, with professionals, you will get prices that are reasonable and fitting the quantity of work being done. We guarantee excellent value for money. 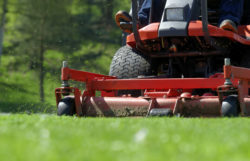 We provide the most professional landscaping services in Mclean VA. We have invested in the most professional and highly trained team that will deliver the best services. Through their expertise and experience, the team ensures that the features installed are durable. This will save you the trouble and expenses of regular maintenance. Contact us for customized prices in landscaping in Mclean VA. Our prices are personalized to cater to the needs of each client. We have solutions for each client to meet your needs. 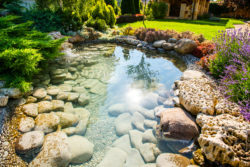 Discuss your landscaping idea with our professionals who will help you find the best solution. With no hidden charges, we are the best providers of landscaping services and also offer the most reasonable prices in the area.